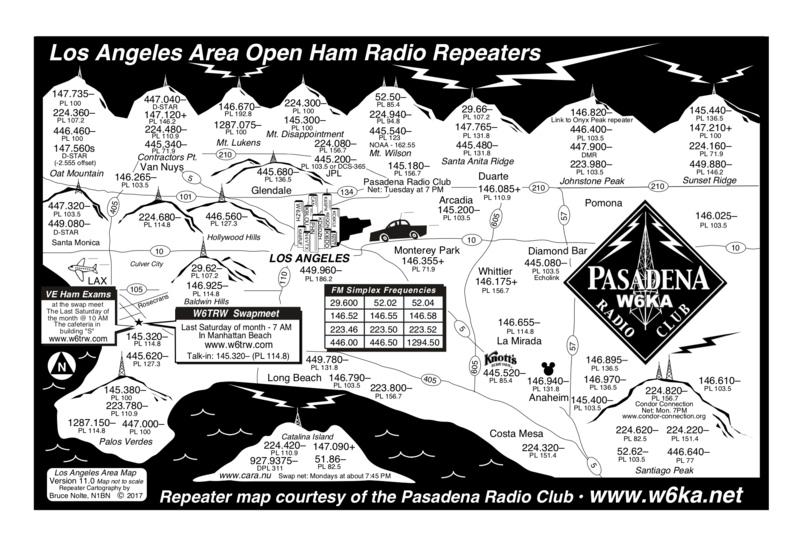 Thanks to the Pasadena Radio Club’s Bruce Nolte N1BN for permission to share his updated map of area repeaters. Below is information on PRC’s monthly meetings. Full details about PRC activities are available on their site.